THE FLAMING ARTS Prod. in 2001. At the same time Diathra began their touring whthin Belorussian regions. They performed together with such bands as Gods Tower, Apocryphal. 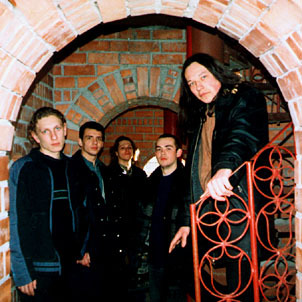 In the middle of 2002 Russian label STYGIAN CRYPT Prod. offered the group editing their debut on CD. After short negotiations they signed the contract, and official release of "Wistful Autumn Dance" appeared on CD the 30th December 2002. In addition to the main songs this edition included two instrumental themes as bonus tracks. After CD-release of Wistful Autumn Dance the line-up has changed: bass palyer Alexey Savchenko, guitar player Dmitry Shiyka and vocalist/keyboard palyer Irina Beresteneva have left the band. A bit later vocalist Marina Volovik and guitar player Michael Sobol has come. The band prepared new material for three years. The recordings of new album under name My Endless Sorrow took place in the same Happy Notes studio. Some guest musicians were invited for recording of this album. The album was released at 1st of November 2008 by Stygian Crypt productions. Now the band working on new material. 5 songs has composed already.